Use extreme caution to avoid disturbing the birds. They have enough threats already. See the rules at the bottom of this page. Try our new WICBirds Entry Form. Please email one sheet per colony surveyed, ideally as separate tabs in one named form (suggested name: your last name,wicbirds,date - e.g. "mackinwicbirds050411.xls"). A basic overview of the methods and rationale for monitoring Caribbean seabirds is given in this overview by Dr. John Chardine of the Canadian Wildlife Service. Please look at the maps from the Bradley and Norton book and determine whether or not the colony is included in the 2009 database. It would simplify entry of data if you find the name used in the database for the colony you have surveyed. If you don't have time, just enter your information, and we will sort out whether your colony is a new site or not. Please be as specific as possible. For example, if there are four specific cliffs on one island where seabirds are nesting, enter each sub-colony on that island as a separate colony with unique latitude and longitude. Be as thorough as you can in your description. 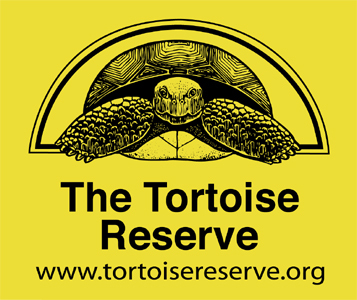 Describe the site and vegetation and any notes about invasive species that are present. Do not enter a seabird breeding area without expressed written permission of the local authorities. Only trained experts should ever handle or approach nesting birds. Do not enter or approach colonies of surface nesting birds during the heat of the day. Heat can quickly kill eggs or young chicks if their incubating parents fly away for even a few minutes. Do not bring pet dogs, cats. or other predators to cays where seabirds nest. Do not eat any seabird product during visits to this region. There are no regulated or sustainable harvests of these birds, and paying for such products is paying for poaching. Using binoculars or a scope, each nest of a surface or tree-nesting species can be counted from a boat or a nearby island if the population is small. For large colonies, count the number of nests in small areas of known size (area of the field of view of the scope at a particular distance can be calculated) and extrapolate for the nesting area. Trained scientists can use more precise methods, but at this time, estimates of 1-10, 10-100, 100-500, 1000+ are very useful and can be made in just a few minutes of work as you boat past a colony. Shearwaters and petrels will most often be encountered at night. Most shearwater colonies are found from the sound of courting birds as boats anchor near the remote, uninhabited cays where the birds nest. Because they nest in crevices, you will most likely not find shearwaters during the day even at huge, dense colonies. However, large numbers of dead shearwaters at a cay indicate a large population. Tropicbirds can be watched during the day as they enter and leave their crevices, but they are difficult to census from a boat. Take photos of the birds and use field guides and this website to identify them. Write down everything you can about the birds, the weather conditions, the position of the colony on the cay (including latitude and longitude), and your methods of counting. If you have repeat visits from multiple years, please report all your observations. The atlas is made to track repeated counts, so all observations are welcome. Someone has probably seen the colony you see before, but it is very unlikely they have seen it during the current breeding season. RI Alcorn and JS Daley (ALD); Anne Sutton (ASU); Sandy Sprunt (AXS); Betty Ann Schreiber (BAS); Stefan Bodner (BNR); James Bond (BON; incorporated into Atlas by David Lee); Elwood Bracey (BRC); Bruce Hallett (BRH); P Blanco, B Sanchez, and A Hernandez (BSH); Bailey Smith and Lorraine Minns (BSM); Don Buden (BUD); J Rothchild and L Roth (CR2); Jaime Collazo (CZO); A Debrot, C Boogerd, and D van den Broeck (DEB); Diana Esclesans (DIA), D Anthony and A Dornelly (DOA); Larry Dougan (DOU); David Lee (DSL); Eric Carey (ECA); Erica Gates (EGA); Floyd Hayes (FLH); Martin Frost (FST); Fred Schaffner (FWS); Jon Gerwin (GER); Giles LeBlonde (GLB); Bill Hayes (HAY); Steve Holliday (HDA); B Horwith and K Lindsay (HOL); Island Conservation Fund (ICF); Jorge Saliva (JES); Jerry Jackson (JJA); Jeremy Madeiros (JLM); Jim Parnell (JPA); Judy Pierce (JPI); A Jimenez, P Rodriguez and P Blanco (JRB); J and R Morris (JRM); Allen Keith (KTH); Jim Kushlan (KUS); V Lemoine, L Dubief, V Genesseaux (LGD); Miguel Lentino (LTO); E Massiah and M Frost (MAF); Andrew McGowan et al. (MGO); MI Moreno and P Salaman (MOS); Mandy Walsh-Mcgehee (MWM); Natalia Collier (NAC); Luis Naranjo (NAR); Rob Norton (NOR); Patricia Bradley (PEB); Mike Pienkowski (PNK); Randolph Winston (RAW); Chris Rimmer (RIM); Rob Pagliaro (RPG); Ingrid Sylvester et al. (SYL); J Tunnell and B Chapman (TCH); Ricardo Munoz Tebar (TEB); Tony White (TOW); R van Halewyn and R Norton (VHN); KH Voous (VOO); Will Mackin (WAM). Haven Wiley, Jeremy Baggish, Mike Palmer, John Knowles, The United States Fish and Wildlife Foundation, The Nature Conservancy, Joe Weyl, Mark Hutchinson, Patricia Bradley. 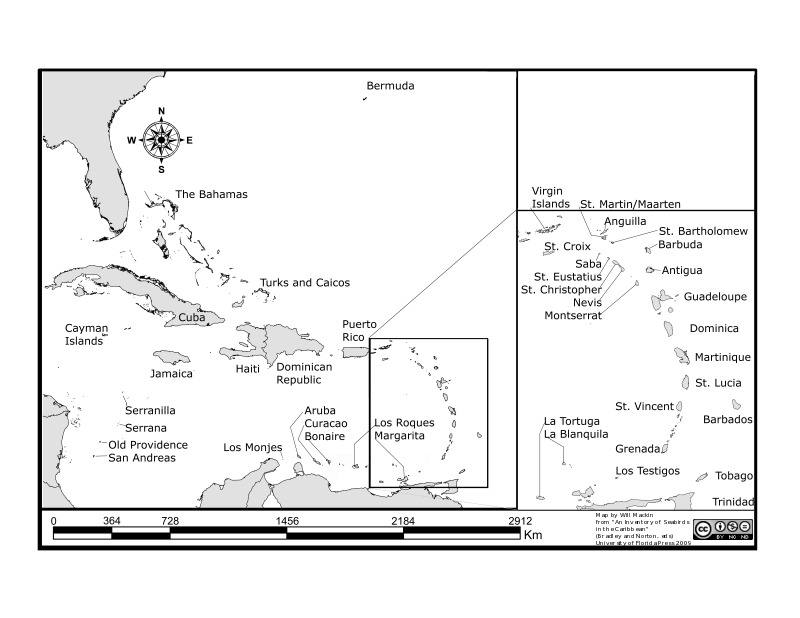 West Indian Breeding Seabird Atlas by Will Mackin and David Lee is licensed under a Creative Commons Attribution-Noncommercial-No Derivative Works 3.0 United States License. Based on work at www.wicbirds.net. Permissions beyond the scope of this license may be available at www.wicbirds.net.